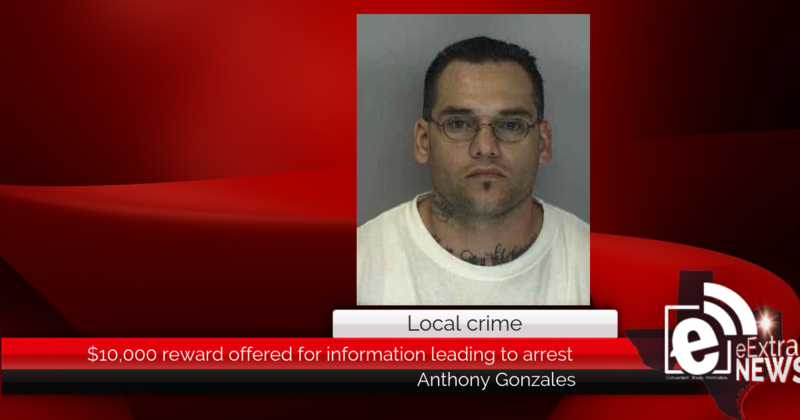 Anthony Gonzales is a native of Corpus Christi, Texas, and a confirmed Mexican Mafia gang member. He has been previously employed in upholstery work. In 1992, Gonzales was sentenced to 10 years in prison for Burglary of a Habitation. In 2001, he was convicted of Possession of a Controlled Substance and Evading Arrest Using a Vehicle. He also has previous arrests for Criminal Trespass, Failure to Identify Fugitive from Justice, Possession of Marijuana, and Unlawful Possession of Firearm. On July 25, 2008, Gonzales and nine associates were involved in a shooting at a Corpus Christi residence, resulting in the death of one adult and the injury of two children. All suspects have been captured except for Gonzales. On July 25, 2008, warrants for Gonzales‘ arrest were issued in Nueces County, Texas, for Murder, Engaging in Organized Criminal Activity, and Aggravated Assault Causing Serious Bodily Injury. The Texas Board of Pardons and Paroles also issued a warrant on August 11, 2008, for Parole Violation (original offense: Burglary). He should be considered armed and dangerous.